Will Joe Biden run for president? Or will he decide to sit this one out? Ponder that as we use it as a lead in to this week’s trivia question: Who was the last vice president to lose in a competitive presidential primary election? You have to name the VP and the state. Last week’s question was: Who was the last Florida politician to serve in the Senate and the House… in that order? The answer? Claude Pepper. 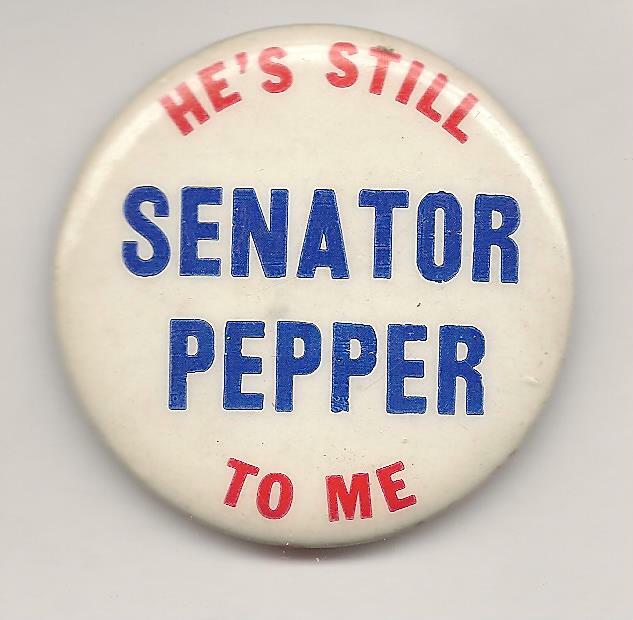 Pepper, a Democrat from Miami, was first elected to the Senate in 1936 and served until 1950, when he was beaten in a classic primary contest by George Smathers. In 1962, when redistricting created a new House seat in Miami, Pepper ran for it, won, and stayed in the House until his death in 1989 at the age of 88. The randomly-selected winner is Daniel Fox of Lithopolis, Ohio. Daniel wins the coveted Political Junkie button.